The classic mini wallet displays an unexpected two-tone aesthetic. Its workmanship displays a refined mix of smooth nappa and woven intrecciato finishes for a tactile aesthetic. 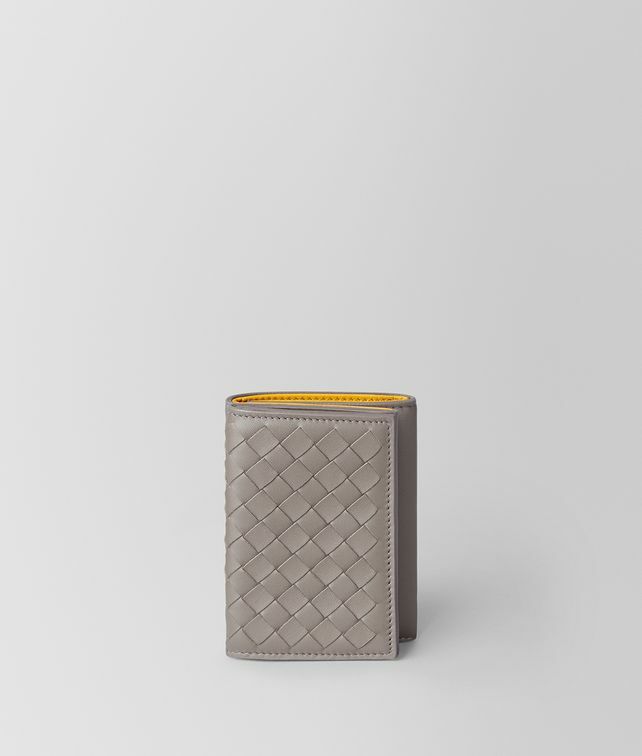 This piece is complete with a snap-button coin pouch at the back and opens to reveal a streamlined interior of six card slots and a bill compartment in a contrast colour.